At that time of the year when the mercury starts to rise, Russia's winter snowscape starts to melt away and citizens face the potentially deadly threat of the odd rooftop avalanche. For the most part, municipal workers take care of cleaning the snow off rooftops in order to avoid these scenarios. Last Friday in the Russian town of Usinsk, however, a huge deluge of snow slid off an apartment building’s roof, crushing the shop porches, fences and cars below. 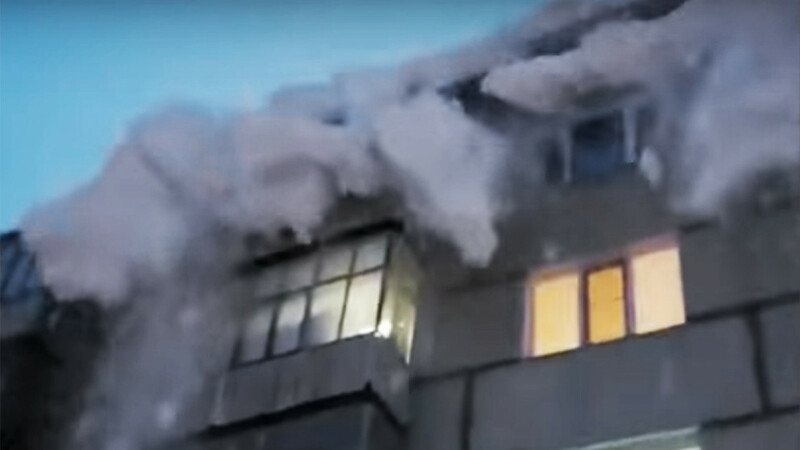 Eyewitness and self-appointed cameraman of the incident Andrey Beloborodov, whose cheese shop is at the bottom of the building, shared the video on social media. In the video, you can hear Beloborodov's cries of disbelief and shock as the slabs of snow plunge towards the ground. The entrance to his shop suffered the most from the roof avalanches, Beloborodov told Reuters.